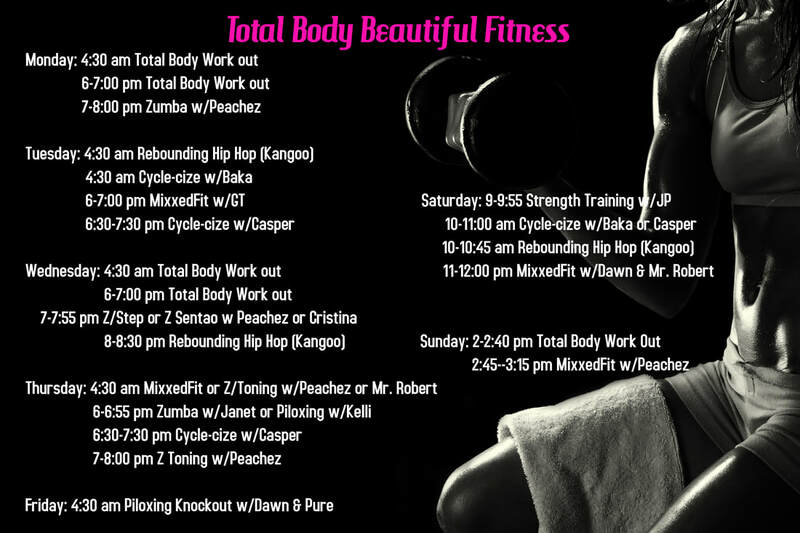 Class Schedule - Total Body Beautiful Fitness "Be Beautiful"
​Ready to take your first class? No pre-registration required. Just come out at least 10 minutes before the class, fill out a waiver, and you're all set to begin.